Anyone who has travelled to a new country will soon realize that not all things on the road are fair. Foreigners are often targeted for scams, robberies and muggings, but what about the less serious crimes of theft? What about the fact that your nationality can often determine the cost of an item, tour, bus ride or entrance fee? Is this discrimination? Is it prejudice? Or is it only fair because the majority of tourists can afford escalated prices. In this article, we'll break down this long-running argument and try to figure out if tourist pricing is a legitimate, honorable practice, or if it's simply targeted fraud. 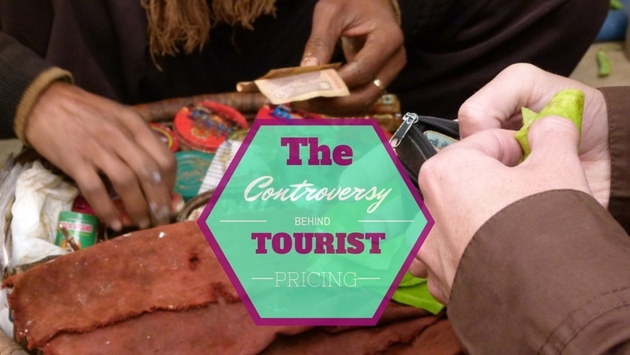 Before we pull the race card, we must first look at where tourist pricing exists. You may be surprised that local discounts are found all over the world. Castles in Europe are cheaper for residents, golf courses in Canada, campsites in America, restaurants in the Caribbean, heritage sites in Asia and markets in Africa may all have separate prices for locals and foreigners. So it's not just a racial thing. It's certainly a proximity and residency issue that is often loosely enforced, yet government controlled. The problem with this comes in countries where foreign faces are often expatriates who deserve the local discount as much the passport holding citizen, but still have to bargain twice as hard to get half the deal. Due to the appalling relation of the distribution of wealth and the world's races, the white face has long been associated with a higher income. But should a higher income mean higher prices? There are Caucasian people in Canada who can barely afford bread for their families, but there are also folks of the same complexion who could buy entire chains of international grocery stores, but do these two classes have different prices for a loaf of bread? No. While government-controlled tourist pricing at historical sites is understandable and usually condonable, Caucasian travelers will always have a hard time getting a fair price due to the color of their skin. But for many of the locals in the countries we visit, the definition of a "fair price" would vary greatly from our own. This is not an all-encompassing truth, which makes it hard to instate blanket laws that force all tourists to pay higher prices. But for the most part, we can all agree that if we have money to travel to the places we visit, then we probably have more money than the average citizen there, who in many places, have never left their home towns. If the excess money from high price tourism flooded directly back into the hands of the less fortunate communities, then tourist pricing would be a great catalyst in remedying the worldwide problem of the segregation of wealth between continents. A rule of thumb may be to accept tourist pricing on government-run sites, and hope that the money goes back to the less fortunate, and into the restoration of the sites we visit. When bargaining for wares, produce and textiles, we may just want to peer inside the life of the salesman and woman, and find a price that is fair for everyone involved. Paying extra for something, while helping someone in a financial crunch can be rewarding and even a way to forge new friendships. You don't have to get ripped off, but you can always help out. This is another valid argument when trying to decide whether tourist pricing at heritage sites is right or wrong. These places have sometimes been a pilgrimage site, place of worship or prayer for thousands of years and then suddenly, when tourism starts to flourish, even the locals have to pay to enter. In these cases we need to look at the history of antiquity and realize that these places belong to the local communities, and we're just lucky to be able to visit them. Having to pay extra when the locals pay a small amount or nothing is simply a ticket to be able to explore a place that may otherwise be lost to us. Travelers have long been fed up with "looking like walking dollar signs," while locals (all around the world) have been annoyed by the escalated prices that come with an influx of tourism dollars. This paradox has been happening since Marco Polo travelled the Silk Road and it will not likely cease anytime soon. Both sides of the argument often defend themselves vigorously, but one simple truth remains. If you don't want to pay tourist prices, then don't go to sites where they will charge you extra, but you'll have to skip out on places like Niagara Falls in Canada, Singiria in Sri Lanka, the Taj Mahal in India, Angkor Wat in Cambodia and the Pyramids of Giza in Egypt. If you hate tourist pricing when paying for goods, then hone your bargaining skills, put on a smile and have some fun with the local shop owners. 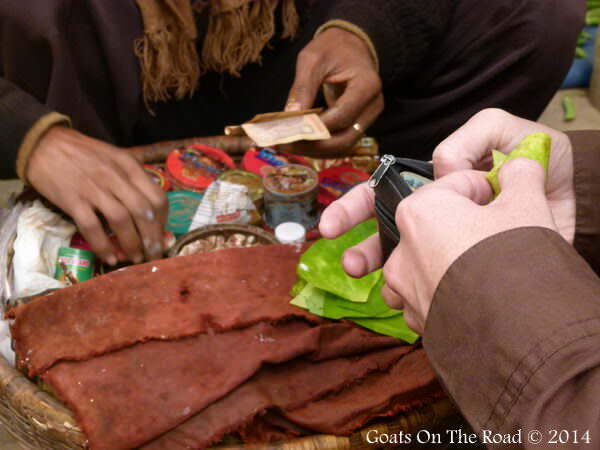 A good barter has long been a huge part of travel and it's amusing, challenging and a great way to forge new friendships with the people you haggle with. Whether tourist pricing is right or wrong, it will always exist, so embrace it. Learn what prices should be and enjoy the challenge of trying to get as close as you can. Your travel experiences will be better for it.